I have just returned from a most inspiring journey to India and Thailand. The trip to India was on invitation from Luang Por Sumedho to join him on pilgrimage to the Buddhist holy sites. Bodhgaya, Sarnath, Lumbini and Kusinara — the place of Enlightenment, the first teaching, birth and Parinibbana — these places bring forth devotional feelings of deep gratitude and inspiration to anyone who has practiced the way of the Buddha. Being on pilgrimage with my teacher and good friend, Luang Por Sumedho was obviously very special and will inform and energize my life for many years to come. As you can well imagine I am deeply grateful. 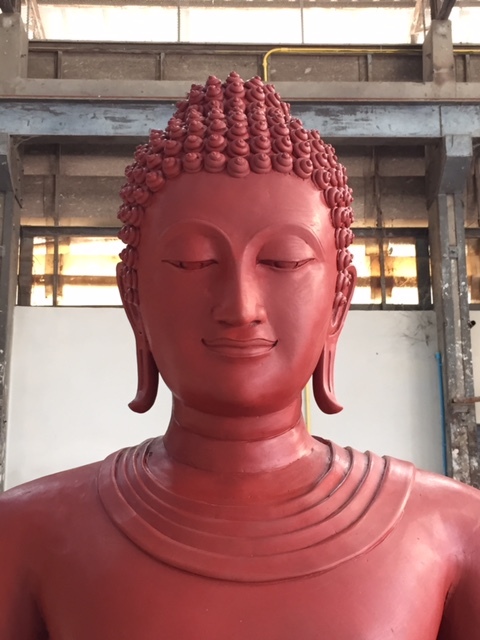 The time in Thailand allowed me to get my teeth fixed, get a new pair of specs but most importantly a new Buddha image for our proposed meditation hall. This was organized by the Thai embassy and I had a chance to see the wax image while I was in Bangkok. It is very beautiful and I am more than pleased with the artist’s work. Included in this post are some photos. 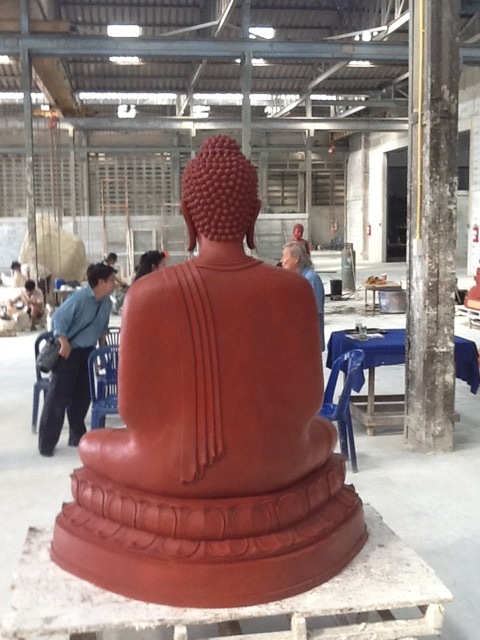 The image will be cast in bronze on the 19th of March at the factory in Nakhon Pathom north of Bangkok. The casting of a large Buddha (this image will occupy the main meditation space at Tisarana) is an auspicious occasion. 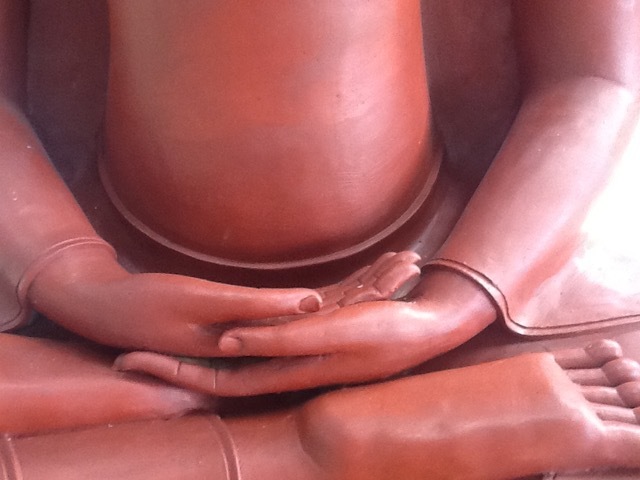 There will be an elaborate ceremony to which we have invited 20 senior monks from the Ajahn Chah tradition in Thailand. 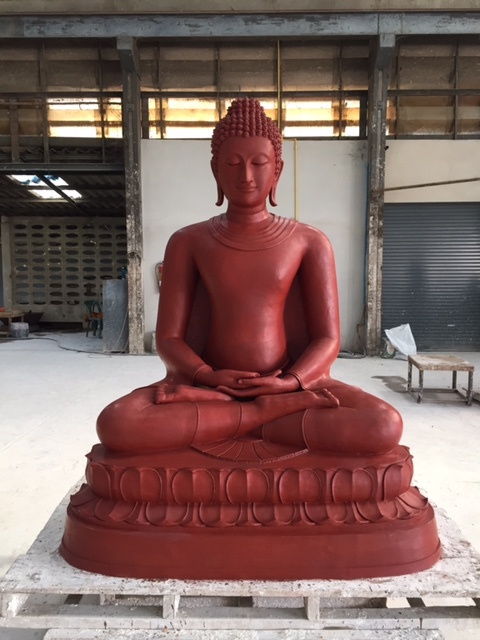 If anyone plans to be in Thailand at that time and wishes to participate in the ceremony please let me know so I can give you directions to get to the casting factory. I have never personally attended such a ceremony or witnessed the bronze casting process known as the lost wax process, but I look forward to being there. Such is my latest news. May I take this opportunity to thank all the generous and good-hearted people who make Tisarana possible. Being in Thailand I was once again reminded of how difficult it is to establish a forest monastery in a non-Buddhist culture. As it is often said, in Thailand one lives in a sea of Buddhism whereas here in Eastern Ontario we are a mere beaver pond. Fortunately the waters are friendly and conducive to our noble efforts. During our winter retreat, the crew who will be supporting us will hold daily pujas at 5:00 am and 7:00 pm (with a few weekly exceptions). Although we do not have overnight guests at this time, if anyone wishes to join these pujas you are most welcome to do so. On our weekly Observance Days (during the lunar quarters as indicated on our web calendar) we will have a 7:00 pm puja followed by a Dhamma talk. All are welcome to join. As with last year, we will not hold our usual Saturday afternoon puja and Dhamma talk during the winter retreat, but will resume this beginning April 2nd. From the bhikkhu sangha and the Tisarana board I wish you all good health, prosperity, and well-being. May you have a peaceful New Year.